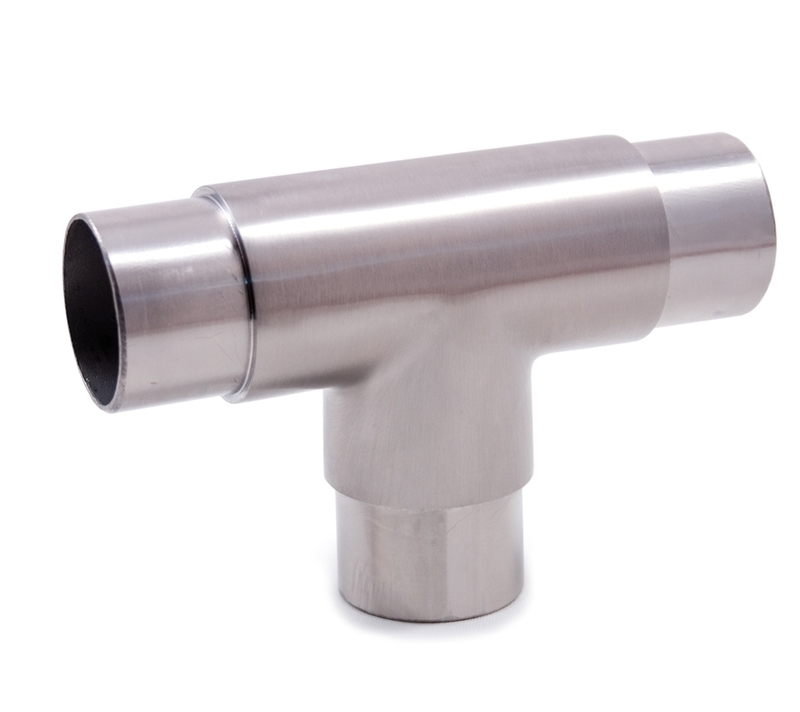 Stainless Steel 3-Way Flush Fitting "T" 1 7/8" Dia. x 5/64"
Three-way flush rail, post, and banister fittings are of very high importance in any setting for which they are used. As the keystone between three points of contact, the three-way flush is a fitting that must be manufactured with care and with unparalleled observation of safety measures in mind. Going right along with the grain of the other fixtures, posts, banisters, and horizontal systems, the stainless steel offers a beautiful finish that puts the final touches on an already gorgeous appearance. To view the exceptional quality of this three-way joiner, simply aim your mouse over the above image and it will enlarge. In this way, you can inspect for yourself the details as well as the high quality of this stainless steel flush fitting. It is imperative to any multiple railing home remodel or project to have the best when a three-way flush is part of the build. With a finish that has all the beautiful design and resilience of its compatible products, such as railings, posts, and poles, there’s no more visually appealing way to fasten a three-way point than this durable and reliable stainless steel three-way flush. For those already considering a multi-directional banister or post product crafted in stainless steel, this is the three-way flush of choice, and is also an affordable option for any homeowner or contractor. Stainless Steel Tube 1 2/3" x 9'-10" INOX Anchorage 3 47/64" Dia., 4 Holes w/ 15/64" Dia. (Aluminium) Stainless Steel 1 2/3" Newel Post (Pre-Drilled) with 2 Holes, M8 Stainless Steel Round Bar 3/8" Dia. x 9' 10"